Snow Survey | ECORP Consulting, Inc.
ECORP’s Snow Survey Program provides critical information to assist water managers in making informed project operational decisions to maximize project operation. 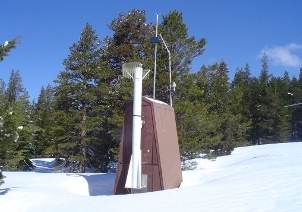 Snow surveys provide snow depth and water content information vital in understanding the potential runoff at key project locations. Having timely, accurate information about snow and future water supplies provides a fundamental contribution to the decision-making process. Information produced by the ECORP Snow Survey Program provides information for long-term strategic planning, operational planning, short-term planning and immediate, reactive decision-making. ECORP collects snow course data in the field and reduces, adjusts, and verifies for consistency to assure quality. Our Snow Survey Program has proven very successful for water managers seeking to optimize hydropower and water supply operations as well as other demands such as recreational and environmental.